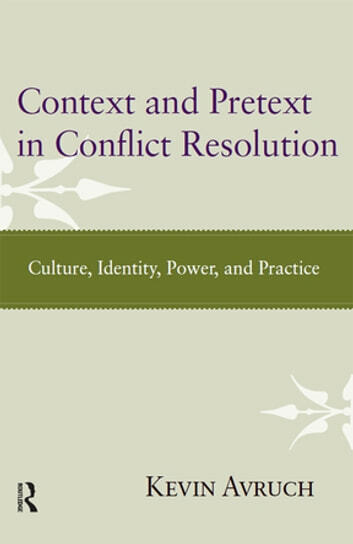 Written by a distinguished scholar, this book explores themes of culture, identity, and power as they relate to conceptions of practice in conflict resolution and peacebuilding. Among the topics covered are ethnic and identity conflicts; culture, relativism and human rights; post-conflict trauma and reconciliation; and modeling varieties of conflict resolution practice. 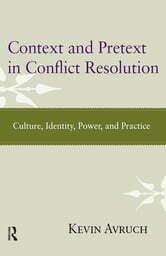 Context and Pretext in Conflict Resolution is the winner of the 2014 Conflict Research Society Book of the Year Prize.